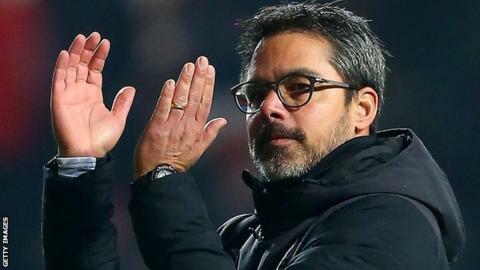 David Wagner has left his role as Huddersfield manager by mutual consent with the club bottom of the league. The German, 47, took over as Terriers boss in November 2015 and led them to promotion to the Premier League in 2017 via the Championship play-offs. Huddersfield were one of the favourites for relegation last season but Wagner guided them to a 16th-place finish. However, they have struggled this term and are eight points from safety after taking 11 points from 22 games. Town chairman Dean Hoyle called it a "sad day", adding that Wagner's achievements over the past three and a half years had surpassed his "wildest expectations" and make him one of the greats of the club. Hoyle said: "We took this club to the highest position it has held in almost 50 years and created memories that will last forever. Watch: Wagner's final Match of the Day interview as Huddersfield Town manager. Wagner's last game in charge was Saturday's goalless draw at fellow relegation candidates Cardiff, when the visitors were denied a late penalty. He was named Championship manager of the year after leading the west Yorkshire side into the top flight and claimed the Premier League manager of the month award in August 2017. There was genuine warmth tinged with sadness in the words of Huddersfield Town chairman Dean Hoyle. Wagner set aside the comparisons with his great friend Jurgen Klopp at Liverpool to fashion a side in his own image, full of energy, endeavour and fearlessness. They achieved what many had regarded as impossible when they reached the Premier League by winning a Wembley penalty shootout against Reading in May 2017. If this was not enough, he produced another outstanding feat of management to keep the club in the Premier League last term. They showed grit and resilience against sides with much richer resources to stay up, safety assured with outstanding draws at newly crowned champions Manchester City and Chelsea at the campaign's climax. Life has been tougher this season, though. Wagner's side have been undermined by a lack of a goalscorer and have won only twice. Relegation looks inevitable. However, whatever the outcome this term, Wagner will be remembered with great affection as the man who brought the fairytale to Huddersfield and whose effervescent personality galvanised the club and the town during his time in west Yorkshire.